The Stargirl man has done it again. Being a kid is imagined as a timeless fantasy land in this dreamy ice-cream sundae of a novel. What if childhood was a magical world? How would you ever bear to leave it? 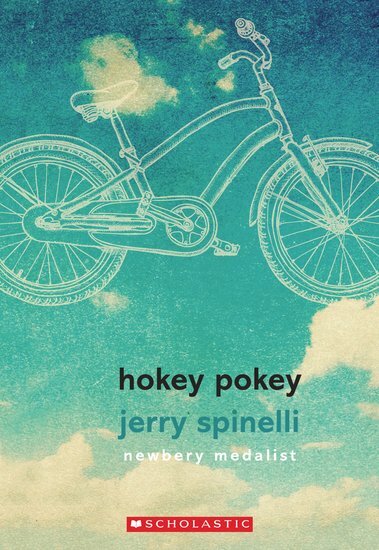 Welcome to Hokey Pokey – where there are no adults, just kids. A golden bubble full of games to play, bikes to ride and secrets to trade. That is all there is. Until one of the biggest kids, Jack, has his beloved bike stolen. On that day, the world of Hokey Pokey starts to crumble for him. He feels strange; he knows something is about to change. Worst of all, he hears a faint train whistle. But every kid knows there are no trains in Hokey Pokey – only tracks.